All things considered however, this is a step in the right direction for Android developers, and in fact all content creators. Google now has one spot to sell your content, and it’s very obviously Google branded (and more or less separate from the core Android product). That’s a key point in itself. Previously Google’s Movies and Ebook offerings were confusingly branded under the Android banner. With the introducing of Google Play, the focus is on selling entertainment content – not just for Android, but for any web-enabled platform. This positions Google as much more of a competitor to iTunes, with its unified content purchasing platform. Android developers need not be concerned about the new changes impacting sales. Google’s set up a seamless transition to the new store, so you shouldn’t notice any major impact on your download figures. 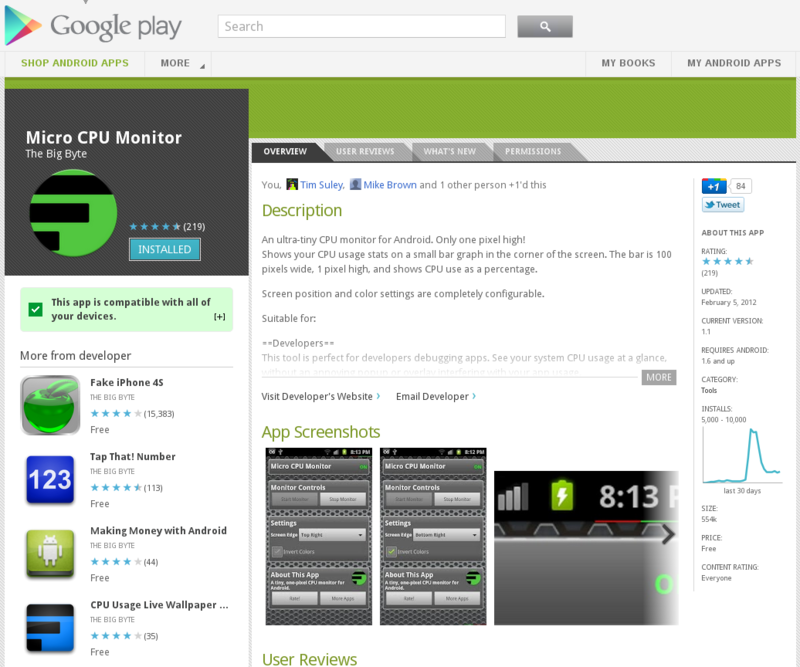 For example, Micro CPU Monitor on the Android Market automatically redirects to Micro CPU Monitor on Google Play. “Plus Ones” from Google+ and the Market on Android devices seem to automatically transfer as well, which is significant. What do you think about Google Play? Was the rebranding necessary? Will it benefit you as a developer? What about consumers? Share your thoughts in the comments.